The Luxury 13 Passenger Sprinter Executive Van rental is perfect for that group of executives who want luxury transportation. 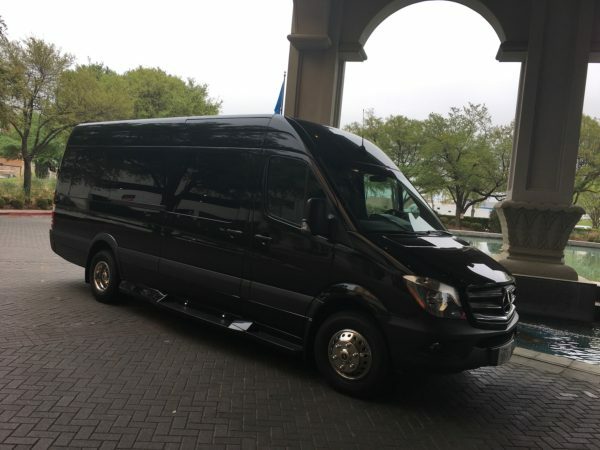 Safe,professional trained chauffeur will take you to your destination and It even has a seat for your own executive security officer.Leather seats are arranged in rows for comfortable travel, plus this luxury Mercedes-Benz van features a TV,OnBoard WIFI,DVD player and sound system. Passenger side pop out door. Sleek black exterior and special lighting. This is top of the line when it comes to corporate executive transportation.